1932 - Psychologist Frederic Bartlett Proposes the Schema Theory. Check the Instructional Design Models and Theories: Schema Theory article and presentation to find more. 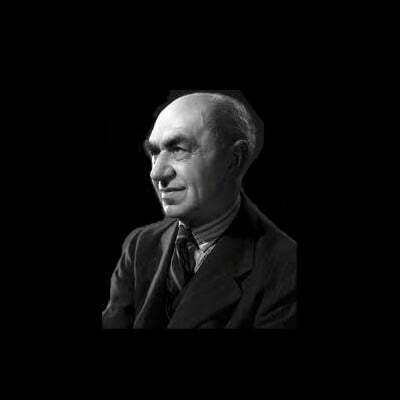 Sir Frederic Charles Bartlett (1886–1969) was a British psychologist, the first professor of experimental psychology at the University of Cambridge and one of the precursors of cognitive psychology. The schema theory was one of the leading cognitivist learning theories and was introduced by Bartlett in 1932 and further developed in the ’70s by Richard Anderson. Bartlett advanced this concept to provide a basis for a temporal alternative to traditional spatial storage theories of memory, since schema theory describes the way knowledge is acquired, processed and cerebrally organized. While exploring the recall of Native American folktales, Bartlett noticed that many recalls were not accurate and involved the replacement of unfamiliar information with facts already known. In order to categorize this class of memory errors, Bartlett suggested that human beings apparently possess generic knowledge in the form of unconscious mental structures (schemata) and that these structures produce schematized errors in recall when they interact with incoming information. Thus, it is through schemata that old knowledge influences new information. So, basically, schemata (plural of schema) are psychological concepts that were proposed as a form of mental representation for selected chunks of complex knowledge, which are then stored in the long-term memory. An individual can memorize and use a schema without even realizing of doing so. Once a schema is developed, it tends to be stable over a long period of time. Human mind uses schemata to organize, retrieve, and encode chunks of important information. Schemata are accumulated over time and through different experiences. Mathematical problem solvingA research showed that 3rd graders taught to use schemata to solve mathematical problems performed better than their peers who were taught to solve them in four steps (read – plan to solve – solve – check). Reading comprehensionSchema theory is often used to assist the learning of a second language, since it usually requires reading many texts in the target language. If we fail to create a sufficient number of schemata when reading a text, then reading comprehension and consequently mastering another language will become difficult. Join us at the Instructional Design History JourneyA New Instructional Design Model Will Be Added Every Week! You are more than welcome to let us know if you would like us to cover an instructional design model and theory that is not included at Instructional Design Models and Theories. Simply leave a comment at Instructional Design Models and Theories.Last but not least, you are more than welcome to embed the Schema Theory presentation at your site of blog. If you have a question that needs an answer concerning the Schema Theory do not hesitate to leave a comment and I will reply you as soon as possible.